Once upon a time, they use to write songs about California Dreaming. It is now turned 180 degrees to the main dreaming in California is how to get out of the same. You just cannot keep raising taxes endlessly reducing the standard of living of the people and survive indefinitely. It is official. The net migration leaving California is showing up not just in the statistics, rental cars leaving the state, but now at least 1800 businesses have packed their bags and left headed to Texas or Florida. You still see a lot of new construction in Dallas for office space going up around town. It gives the impression that there is no recession in the United States as we see in Europe and Asia. To a large extent, much of the boom in Texas and Florida is being driven by the net migration leaving California, Illinois, New York, and New Jersey – just to mention a few. The people are leaving the high tax regions and move to the states with no state income tax. 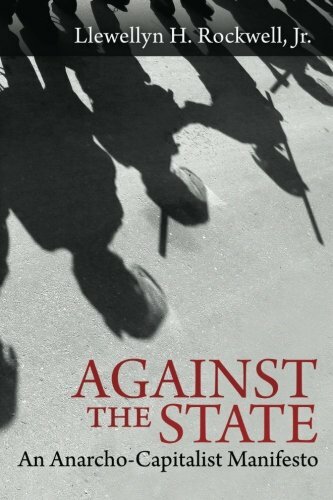 Against the State: An ... Llewellyn H. Rockwell Jr. Best Price: $5.00 Buy New $9.30 (as of 10:25 EDT - Details) Philadelphia has also a city income tax. Worse yet, they want an income tax from people just visiting. They are taxing sports players per game in Philadelphia and that is also one of the reasons why we will never again hold a conference in Philadelphia. They demanded an income tax from us just to hold a conference in their city. They cannot understand that this type of taxation imposed upon people bringing business to the city for an event will only cause them to hold their events elsewhere. Of course, those in government lack common sense. There lies the real problem. People ask me gee are you still forecasting doom and gloom? They prefer someone who predicts wonderful times ahead even if it is no true. Will we survive? Of course! These are the times that force change on government. Unfortunately, they will never reform until they are absolutely forced to do so.